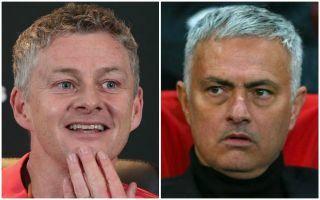 Manchester United’s interim manager Ole Gunnar Solskjaer must be ‘killing’ his predecessor Jose Mourinho with his fast start in charge at Old Trafford, according to pundit Garth Crooks. The Red Devils were superb once again this weekend as they strolled to a 3-0 win away to Fulham – the kind of away game the club were finding surprisingly challenging under Mourinho. Writing in his column on BBC Sport, Crooks praised a number of United performers, with Chris Smalling, Paul Pogba and Anthony Martial all making his team of the week – more players than Manchester City got in, despite hammering Chelsea 6-0! The win takes United to fourth in the Premier League table – something that didn’t look possible for the club under Mourinho earlier this season, and Crooks wrote that Solskjaer’s tremendous impact at MUFC must be killing the Portuguese tactician, who struggled so badly to get anywhere near this level out of the same group of players. ‘United’s total resurgence must be killing Jose Mourinho,’ Crooks said. He added: ‘The win at Fulham was a walk in the park for Manchester United and Paul Pogba. The Sun claim Man Utd’s board may already have decided to give Solskjaer the manager’s job permanently, with an official announcement to be made in the summer.